HAMBURG Trading Corporation takes another leap towards excellence when it received its certificate for Good Warehousing Practices (GWP). In the process, it is expected to eliminate mistakes, customer rejection, and expired stocks. HAMBURG also practices First Expiry, First Out (FEFO) which avoids or minimizes damages during storage. These eventually help the company diminish loses and sustain its cost saving measures in the long run. For Ms. Lenie Bermudez, President of HAMBURG, acquiring GWP certification is a long-time dream and she congratulated the Technical Service Department (TSD) for spearheading the process to achieve it. “We have been trying to get this since 5 years ago; even way before our ISO 9001:2015 certification. Now, this can be considered as another milestone not just for the warehouse, but for the company as well,” she says. The audit took place last December 7-8, 2018 and HAMBURG received the Good Warehousing Practices certification for Storage and Distribution of Dry and Liquid Bulk Raw Materials intended for Food processing on January 30, 2019. Both Ms. Bermudez and Mr. Kessler stated that safety, security, and quality are non-negotiable components of this business primarily because HAMBURG is serving the food industry. 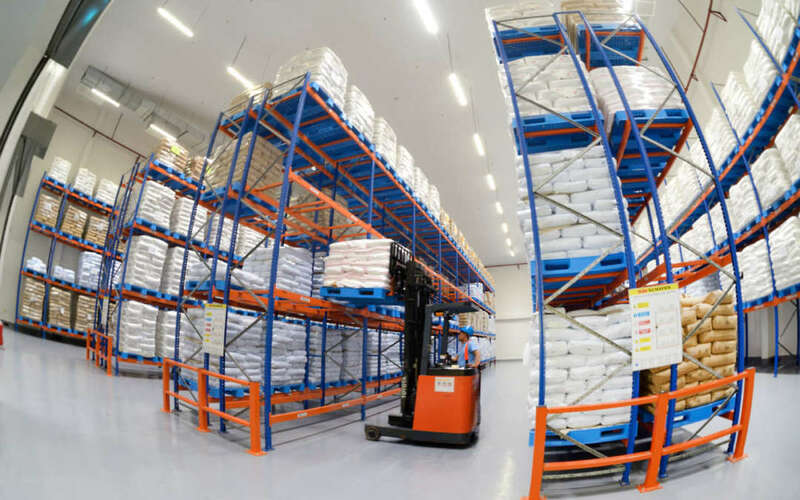 With Good Warehousing Practices, HAMBURG has put food safety and security on top of the company’s priority; and with the latest and rapid technological changes happening nowadays, we are 100% committed to excel these challenges.